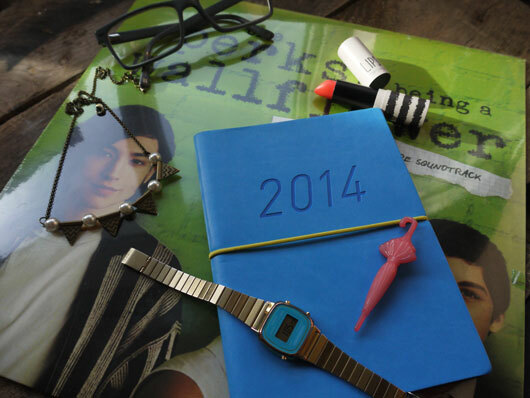 A little collection of things. Some are Dave's, some are mine. 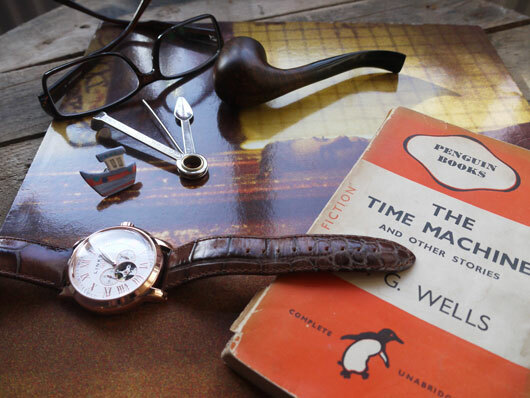 Vinyl: Fugazi, Book: The Time Machine, H.G Wells, Little boat lapel pin, Wooden pipe, Watch c/o Links of London, Glasses: Vision Express. Vinyl: Perks of being a wallflower, Leather Diary: Paperchase, Watch: Casio, Umbrella brooch pin: Ladyluck rules ok, Glasses: Gok Wan, Lippy: Topshop, Bunting Necklace: Vintage Fair. 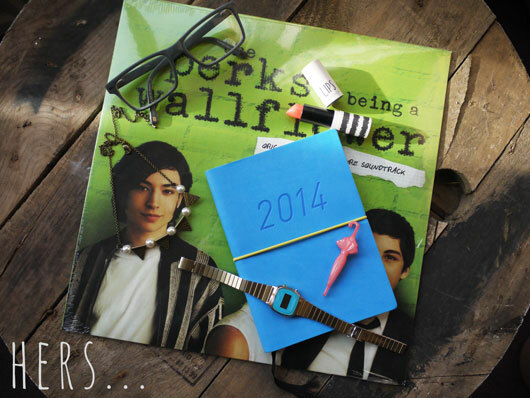 Cute his/hers idea c: I want to read Perks of Being a Wallflower! 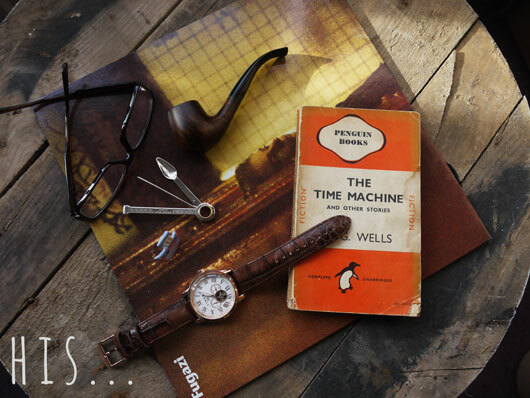 This is a lovely idea for a post and so insightful.